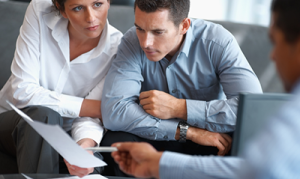 When Should I Talk With a Homeowners Insurance Agent? Home > Blog > When Should I Talk With a Homeowners Insurance Agent? You’re planning on moving: Even before you head to closing, speaking with your agent can help you determine if the home you’re considering might have special insurance needs based on the neighborhood it’s in, the features it has, and whether or not it’s in a flood plain. Consulting an agent can help you decide if the home’s insurance-related issues make it less desirable than you thought. You’re planning on renovating: Upgrades to your home don’t just increase the worth of your home – they also increase your risk exposure in case of a loss. If you’re planning to refinish an attic or basement, adding a room, or even making a major upgrade on your bathroom or kitchen, talking to your agent ensures the increased value is reflected in your home insurance coverage Basement upgrades might need additional coverage to handle sewer backups. You’re adding a pool, trampoline or other outdoor items: Items such as pools, trampolines and even hot tubs may increase your liability exposure, so increasing your coverage might make sense. You’re opening a home-based business: Especially if you plan to have customers come to your home, you plan to store costly or use expensive electronics or equipment in your home, that may not be covered under your policy or may even be ineligible. You’re buying expensive collectibles, art, jewelry or antiques: Home insurance covers many possessions, but really costly items need additional homeowner’s coverage to protect you in case of loss. You want to save some money: Most home insurance carriers offer plenty of discounts – you just have to ask your agent about which ones are available for your plan. For instance, adding smoke detectors or alarm systems may result in lower premiums. Even if none of these circumstances applies to you, it’s still a good idea to review your policy every year, just to make sure you have the right home insurance coverage to protect you from losses. Reviewing a homeowners insurance policy takes just a few minutes of your time now, but it can result in major savings down the road.